In my continuing quest to come up with healthy lunchtime options, I decided to shop my pantry and fridge for inspiration. 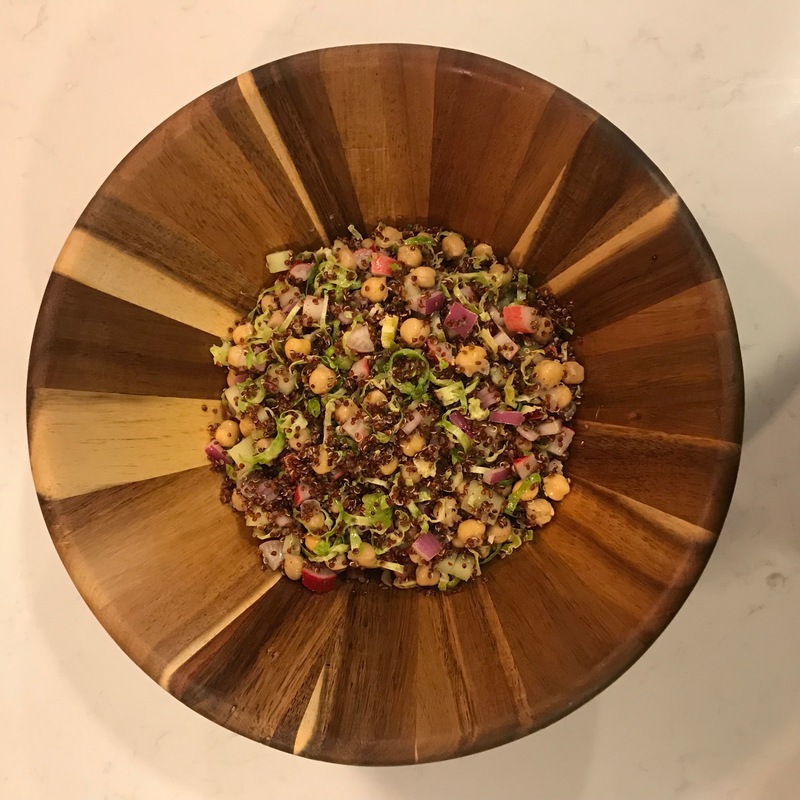 This salad combines some of my favorite things: chickpeas (also known as garbanzo beans), Brussel sprouts, cucumber, radishes, red onion, and at the last minute…quinoa (not shown). I also added some leftover grilled chicken. Think this would make a nice, light side dish, especially for a grilled dinner. I made it in the morning for lunch later, but it was still fresh and delicious the day after, too. Calorie count? At about a cup and 1/4, 300 calories. With chicken, 420 calories. © Copyright 2017. life's a spritz. All Rights Reserved. Design by Bloom.